Arnold Schwarzenegger is well known for indulging in some bad boy behavior. He has a love of cigars, hummers, and tanks. Though he was the governor of California, Arnold flaunted the law by owning and smoking Cuban made cigars. Does this bad boy image include tattoos? The answer is no, Arnold Schwarzenegger does not have any tattoos. He has spent his whole life shaping and sculpting his body, but he has never gotten ink added to it. Arnold has had temporary tattoos added on while playing certain movie roles, such as the image above from his movie Sabotage where he plays a DEA officer. One reason Arnold never got a tattoo may be that it would distract from his natural physique. 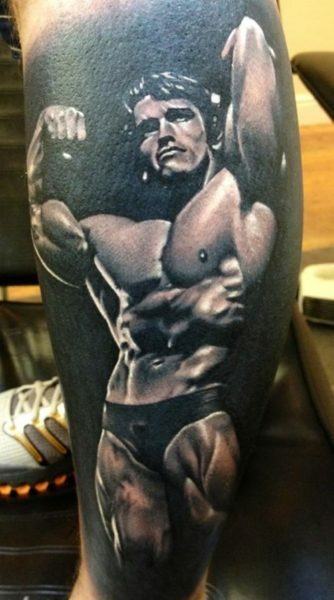 As a bodybuilder, Arnold wanted people to focus on his muscles and his body, not a tattoo. Next story 18 Shake Review – Must Read Before Buying! Previous story Extra Virgin Versus Pure Olive Oil In Smoothies?